Carrying a LED flashlight as part of your everyday carry is a bright idea—and we don't mean the one on the back of your smartphone. While the LED on your phone can work in a pinch, a dedicated EDC flashlight is a more reliable option. Even if you think you might not use one, the reality is that it gets dark every night. 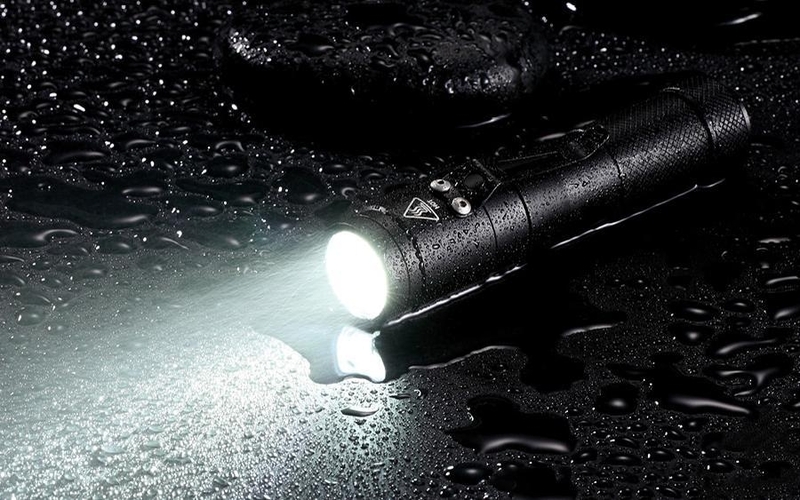 So to be prepared, whether it's in a blackout, scanning the floor for something you dropped, or taking a walk at night, you should invest in a small flashlight. 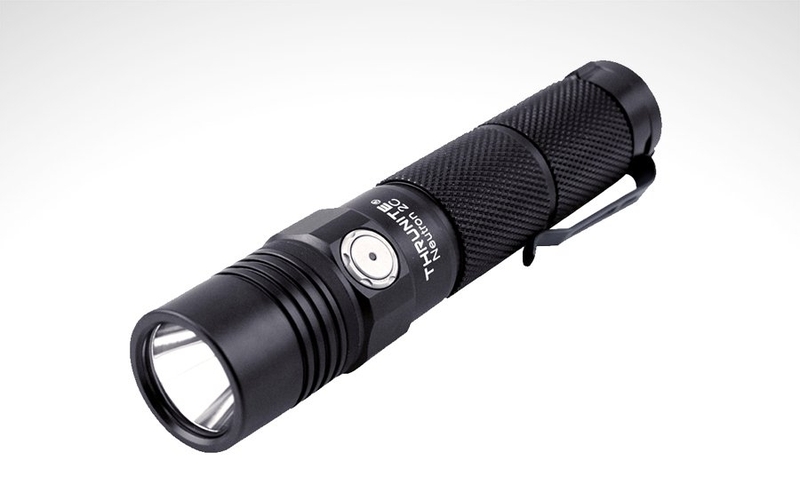 If you've never carried a flashlight before, we recommend starting small. 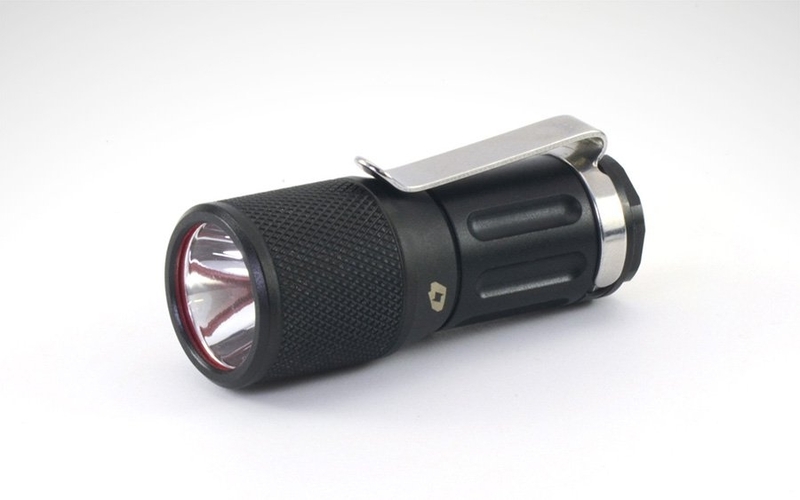 Small flashlights are easier to carry in your pocket or even on your keychain without getting in the way. The top flashlights can still get impressively bright thanks to how advanced LEDs and batteries have become. 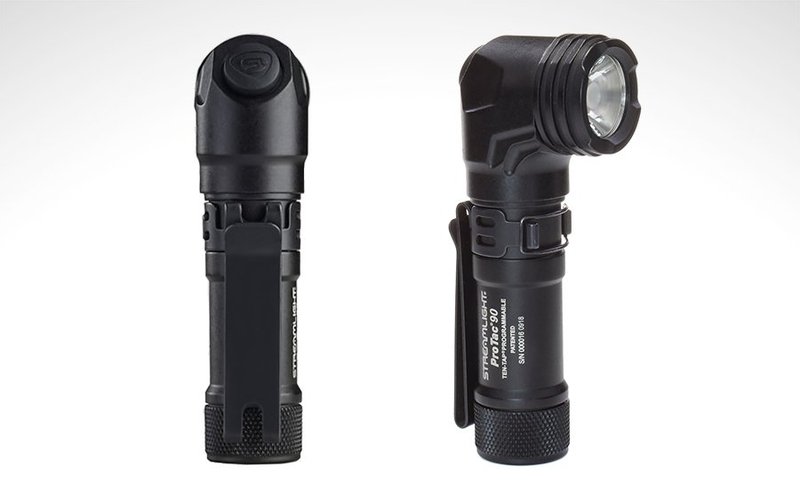 For emergencies or really hard use, you might want to look at tactical flashlights. They're built to perform in demanding military and law enforcement applications, so they'll be powerful and durable enough for your everyday uses. To While we mentioned small keychain flashlights and tactical flashlights, you'll notice there are plenty of ways flashlights can differ. Not all lights are long, bulky cylinders. The easiest way to narrow down a flashlight is by what battery it uses: think AAA, AA, or CR123 to start. Smaller batteries generally mean smaller and more compact flashlights with less runtime and brightness. Bigger, more powerful flashlights require more batteries, and mean a bulkier light overall. To learn more about which type of flashlight is right for you, check out this brief explainer on batteries. 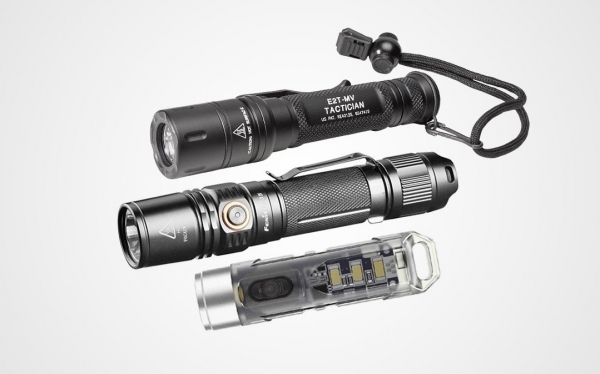 Then, check out our buying guides for the best cheap flashlights, and scroll down for even more options. “Great things come in small packages” has never been more true for the modern flashlight. What used to be a choice between power and size has now simply become a choice of convenience. 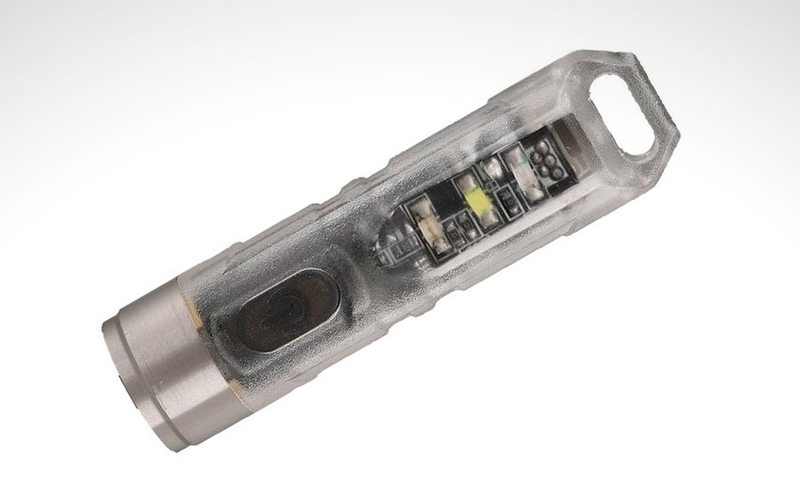 FOURSEVENS has a long history of making cutting-edge compact lights for EDC, and now under the banner of Prometheus Lights they continue to innovate in both design and tech. The Mini Turbo MkIII packs impressive power and features into a pocket-friendly profile, proving that you don't have to compromise to carry a great flashlight. This third iteration of FOURSEVENS's Mini Mk series makes two significant upgrades that warrant it a serious look. The first is a larger “Turbo” head that gives the light a bigger smooth reflector (and thus a longer throw), to the tune of 20 meters more than its predecessor. Inside the head resides a new Cree XPL-HI LED in a neutral white tint, which gives you a maximum output of 700 lumens at 4500K (a pleasant 75+ CRI) and a top range of 200 meters. Tint and power are one thing, but the MkIII takes a step further by allowing you to customize its outputs to 6 profiles. With options such as a single High output, access to all modes, or a versatile Low-Medium-High arrangement, the light operates as simple or as complex as you'd like through its twisty interface. The rest of the MkIII's body is made from 6061-T6 anodized aluminum, with an extra-tough IPX8 rating that's more than capable of rigorous daily tasks. And in spite of its tiny 2.38” length, there's still room to fit a solid clip and a magnetic tailcap that lets you light up those hard to reach spaces. The total package including the MkIII's included high-discharge RCR123A battery barely tips the scales at 1.8 ounces, further cementing its purpose as a capable everyday light. With enthusiast features and robust construction in a size that's easy to carry, the FOURSEVENS Mini Turbo MkIII earns a spot in any EDCer's pocket. Pick one up from Amazon at the link below. The best flashlight is the one you have on you. For a lot of EDCers that means a keychain flashlight is the way to go. They're compact and lightweight, immensely practical and can work well in a pinch. 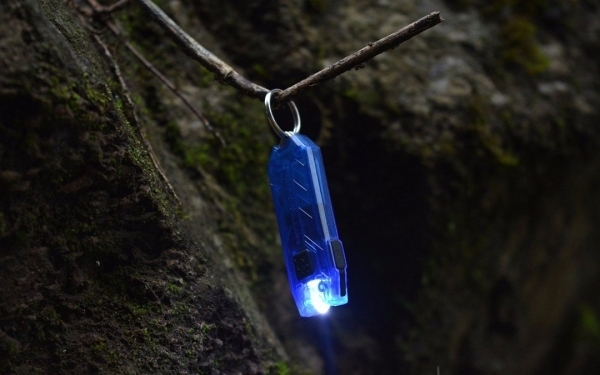 In the past though, keychain lights tended to have poor build quality, inconvenient batteries that drained quickly, and not enough output to do serious work. 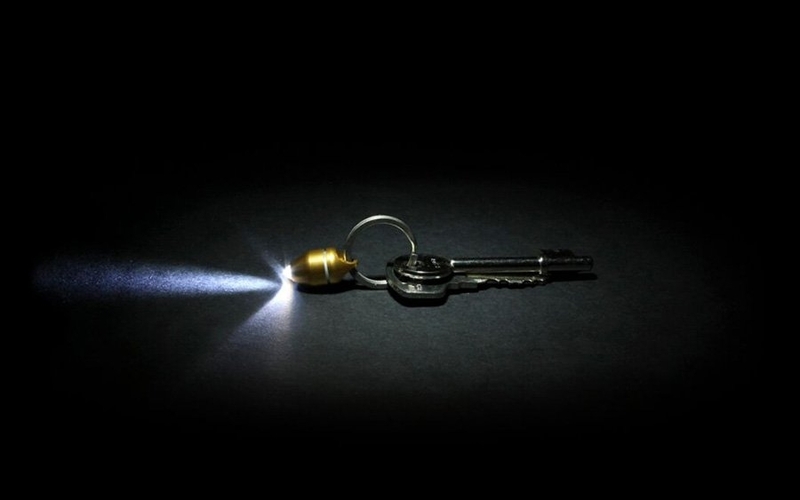 But as LED flashlight technology improved, keychain lights became capable enough to replace even some larger, traditional primary flashlights. 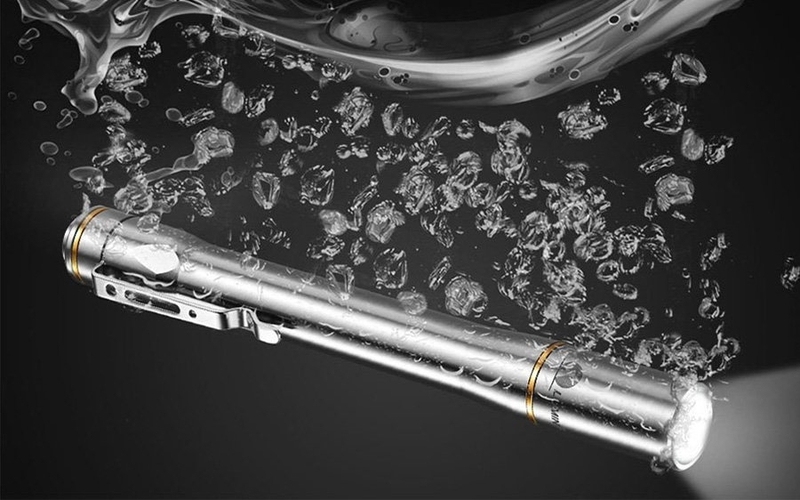 The Nitecore Tube was a revolutionary, innovative light at the time, packing impressive brightness and versatility with modern quality of life improvements in a sleek, lightweight build—all at an incredible value. But as we've seen how quickly flashlight technology advances, is the Nitecore Tube still worth it today? Read onto find out how it holds up and if your keyring could use a more modern upgrade. One way to shake things up in your EDC is to experiment not just with what you carry, but how you carry them. In the case of flashlights, you might have one in your pocket, on your keychain, on your phone, or even on your head. But if none of those options appeal to you, maybe your next light belongs on your wrist. MecArmy's new innovation, the CPL Flashlight, sports a unique form factor designed to slip onto a watch band or similarly sized tactical webbing. 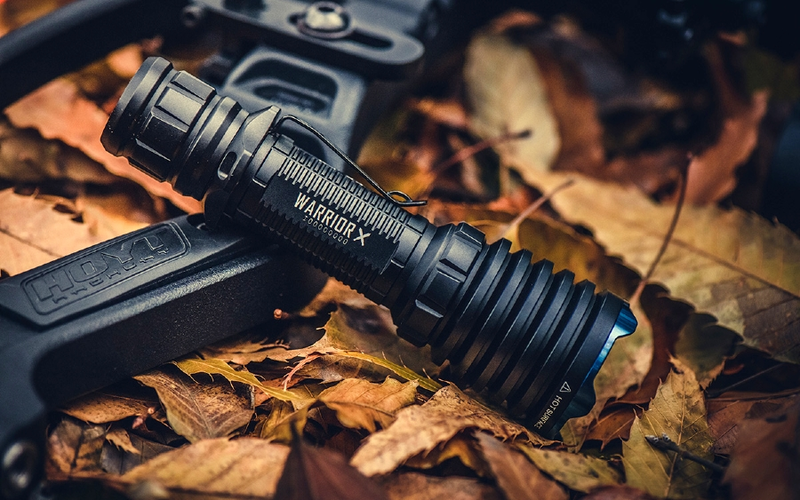 It's a modern, premium upgrade to the button-cell lights of the past that can consolidate and add value to your carry in ways other flashlights can't, especially if you're already using a watch or tactical bag. To keep the CPL compact enough to carry comfortably on a 24mm or smaller watch strap, it sports a low-profile, 30mm x 28mm x 18mm square form factor. The body's TC4 titanium construction makes it ideal for wrist wear, as it's tough yet light at just about 1 ounce, as well as corrosion-resistant and hypoallergenic for EDCers with sensitive skin. Smooth, chamfered edges and rounded strap hooks on the underside also add to the overall comfort of the light. On the business end, you'll find a CREE XP-G2 LED that outputs a full, floody beam. The CPL features an emergency strobe and 4 general usage modes with a 3-lumen Low that lasts for 30 hours, up to a maximum output of 160 lumens on Turbo for the first 2 minutes, ramping down to 43 lumens. It's powered by user-replaceable CR2032 button batteries and operates via a large, recessed power button to avoid accidental presses. Double-tapping the button turns the light on, single pressing cycles through its modes, press and hold turns the light off, and triple clicking gives instant access to its Turbo mode. With a unique form factor that's designed to be carried in places other lights can't go, the CPL features the usual set of robust durability features like 1m drop resistance and IPX6 water resistance. 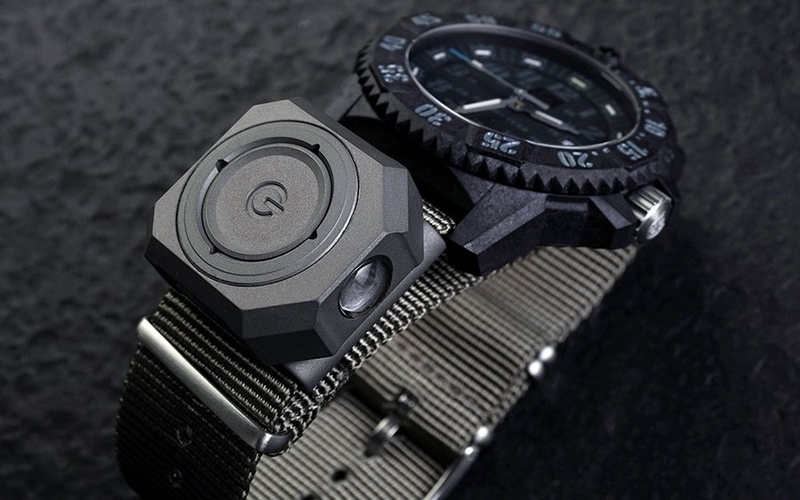 You can toss it on your favorite compatible watch band or keep it as a back-up light on any PALS webbing you might find on a tactical bag or pouch organizer. Get a closer look at the MecArmy CPL and grab one to round out your kit from the link below. With rock-solid features at an exceptionally attractive price tag, the ThruNite Neutron 2C has established itself to be an excellent everyday light. Rather than reinvent the wheel to keep the flashlight fresh, ThruNite instead innovate with careful iteration. Now in its 3rd version, the latest 2C comes with measured upgrades rather than drastic differences, adopting the power, versatility, and utility of modern lights while staying true to its core as a great all-around flashlight for EDC. The Neutron 2C V3's exterior largely remains unchanged from its initial release. It comes in an IPX8-rated black anodized aluminum tube with a raised collar with an anti-roll design that houses a metal side switch and generous knurling for its bottom half. A key feature lies with this segmented bottom portion: it unscrews into two separate parts to allow you to shorten the entire light, giving compatibility to huge range of batteries (18650 x 1, 18350 x 1, CR123A x 2, 16340 x 1, 16340 x 2). This gives the 2C ridiculous versatility and portability depending on your needs, and thanks to a built-in micro USB port, the light itself is even able to recharge said cells. The 2C's accessories include a pre-attached clip, 3400 mAh 18650 battery, holster, lanyard, and micro USB cable. These round out its carry options as well as give you a complete kit to get you started. An electronic side switch (which also doubles as a battery indicator) navigates the light's 4 modes. It uses a Cree XP-L V6 LED available in both cool and neutral white, with a top output of 1100 lumens and a maximum runtime of 49 days on its 0.5-lumen Firefly setting. Playing again on its versatility, the 2C's main output mode allows continuous ramping between 12 and 650 lumens, with shortcuts to Firefly (long press), Turbo (double click), and Strobe (double click from Turbo) from off. These shortcuts are a nice and thoughtful touch, especially considering getting to the right brightness on its ramping mode may take a few moments that you might not have in a pinch. Thankfully, mode memory exists for this mode when you do find that perfect brightness. Even in its third iteration, versatility is still the name of the game for the Thrunite Neutron 2C. Pick one up in your choice of tint from the Amazon link below. A while back Nitecore released a concept light, aptly named the Concept 1, with a fresh take on the compact, but, powerful flashlight. 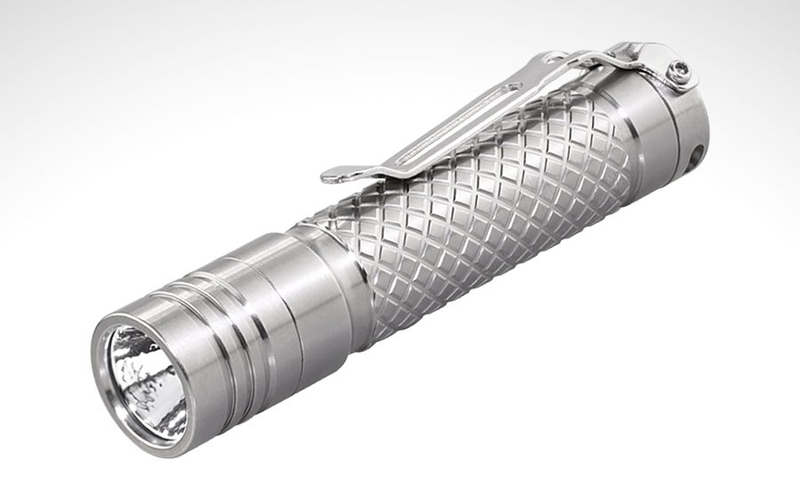 Unlike most concept products that never progress past a futuristic design or idea, the Concept 1 delivered a new model that was unique among Nitecore's other flashlights of time. Now Nitecore have taken the Concept even further with the EC30, tweaking the light in both features and price, while still offering a compact powerhouse for EDC. The EC30 carries over many of its features from the Concept 1. It uses a Cree XHP35 HD paired with either a 18650 battery or 2 x CR123As for a maximum output of 1800 lumens up to 220 meters. 5 brightness levels and 3 special modes are accessed via a single side switch, including instant access to Moonlight (1 lumen) and Turbo (1800 lumens), the former of which has a runtime of up to 310 hours. Thanks to its combination of power, medium throw, and runtime, it's a great option as a general-use light, performing well across many usage cases for EDC. The overall exterior design of the EC30 takes most of its cues from the Concept 1 as well. 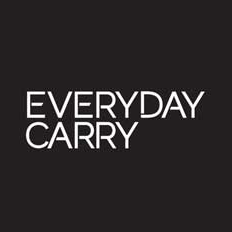 Which is a good thing, because the compact, tapered body lends itself well to pocketability and ease of carry. Its top half is smooth and houses the bolt-on clip, side switch, and branding, while the bottom half retains the magnetic tail and subtle diamond knurling pattern for a comfortable, but tight grip. The switch is the big difference on the EC30 compared to its predecessor, now a proud electronic switch compared to the more flat rectangle switch of the original. 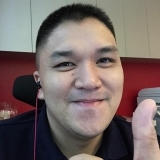 Be advised: while the switch is now easier to use, it also means accidental activation is a strong possibility, especially with a lack of electronic lockout in the EC30's user interface. Switch aside, the EC30 is still a very compact light, measuring in at 4.38” and weighing 2.31 oz. That's slightly shorter and heavier than the Concept 1, but should still be just as EDC-friendly. And thanks to IPX8-rated water and impact resistance, carrying for every environment is no problem. Finally, an included lanyard and holster complete the carry package. The Nitecore EC30 is an easy and affordable concept to grasp, and it's available now at the Amazon link below. While modern EDC lights these days offer tons of smart new features, sometimes you don't want all the bells and whistles—especially on a tactical light. Too many modes, programming, and magnetic charging might be more complex than you need. When you want a torch that reliably puts out a lot of light in a literal flash, tactical lights are usually the way to go. 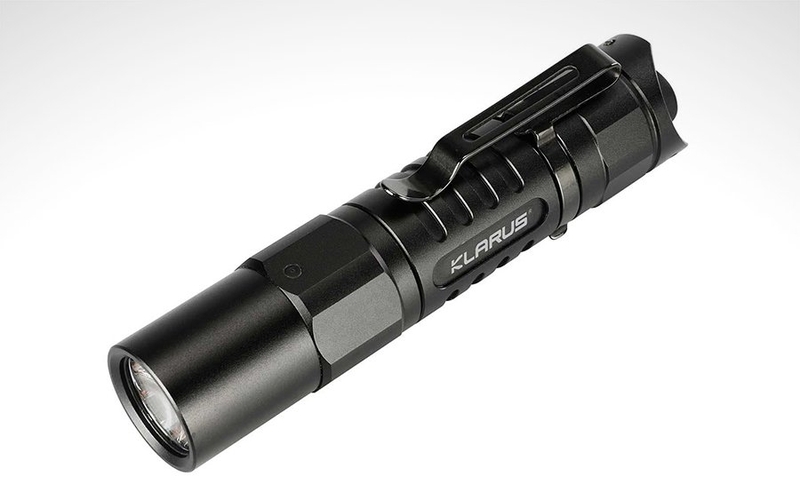 Klarus's updated XT1A offers a bit of both so you can use the light the way you want after setting it up. For example, it boasts a 1000 lumen output and accommodates USB-rechargeable Li-ion batteries, but also keeps things simple with instant access to strobe and the ability to use standard AA batteries too. The new XT1A's pocket-friendly body has all the right features for an everyday light: anti-roll rings, a grippy middle section, and a scalloped tail that can tailstand without getting in the way of your thumb. It's compact at 4.24" long and weighs 2.17oz without a battery, built from HAIII anodized T6 aluminum alloy. The body is sized to fit both 14500 Li-ion batteries and standard AA cells, giving you options to switch between higher output or more readily available power sources. When powered by a 14500 cell, its CREE XP-L HD V6 LED pushes a maximum output of 1000 lumens and reaches a low of 5 lumens. The included 14500 itself has a built-in micro-USB port for convenient charging as well. The XT1A has a few unique features that make it especially versatile depending on if you want to use it as a tactical light or a general EDC. On its Tactical Setting, you get instant access to Turbo with the main tail switch and a one-touch Strobe with the secondary tail switch. On the Outdoor setting, it unlocks multiple modes and SOS features. Finally, useful features like a tailswitch lock-out function, battery indicator, IPX8 waterproofing, and a stainless steel pocket clip round it out. If you prefer a more traditional flashlight form factor and more control over how you can use your light, be sure to check out the XT1A 2018 at the link below. If you've been on the market for a new EDC flashlight recently, chances are you've come across the RovyVon Aurora series. The glow-in-the-dark Aurora A5 was one of our favorite lights of last year, with high praise from our editors and our readers alike for its innovative features and design at a great price. But if you haven't had a chance to pick up one of these versatile keychain lights, you now have even more options with the new Aurora A6. It keeps much of the same great features that set the A5 apart from the rest, but now comes with a beautifully color-accurate main LED and even more side-mounted light options to boot. Whether you're a flashlight enthusiast or just starting to build your EDC, there's something for you in the new RovyVon Aurora A6. The most notable difference with the Aurora A6 is its main LED. Instead of the 550-lumen cool white CREE XP-G3 LED on the A5, this new model offers a high color rendering index (CRI) Nichia 219C LED with a max output of 300 lumens. When it comes to the output on the A6, it's more quality over quantity. The Nichia 219C produces a “warm white” beam that more closely resembles sunlight, making colors look more natural and accurate. It's a stark contrast to typical “cool white” LEDs that can make your surroundings look harshly washed out or “cold.” If you find yourself using your EDC light mainly in outdoors settings, a high CRI light makes a huge difference. And at the end of the day, 300 lumens is still plenty for general EDC tasks and can be worth the tradeoff for more accurate color depending on your lighting tasks. The other change is the A6's side-mounted LED now comes with a blue option that works in tandem with the red LED to server as an alert or signal light. Aside from the changes to the LEDs, the A6 retains those same great features from the A5. Its glow-in-the-dark polycarbonate housing is still just 2.16” long and 0.416 oz in weight, making it ultra portable. A stainless steel bezel protects the business end of the light from impact, a side switch operates both the main LED and side lights, while a lanyard attachment point at the tail end of the light and an included, reversible, 2-way pocket clip give you convenient carry options. Its 130mAh Li-ion battery recharges via a built-in micro USB port too. Last but not least, it features IP65 water resistance so you don't have to worry about rain and splashes. If you've been holding out for a high CRI version of the Aurora, now's your chance to see what all the hype is about. Grab one for your EDC at the link below. When it comes to recent EDC lights, it's no longer all about the numbers on the box. Usability, innovation, and convenience are just as important as the specs. But it's a thin line between a clever light and a gimmicky one—you have to know the rules of a good light before you can bend them. 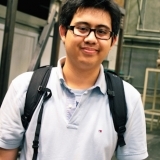 That's where companies like Rofis come in. Known for their versatile angled flashlights, they're pushing the envelope once again with the new TC1. 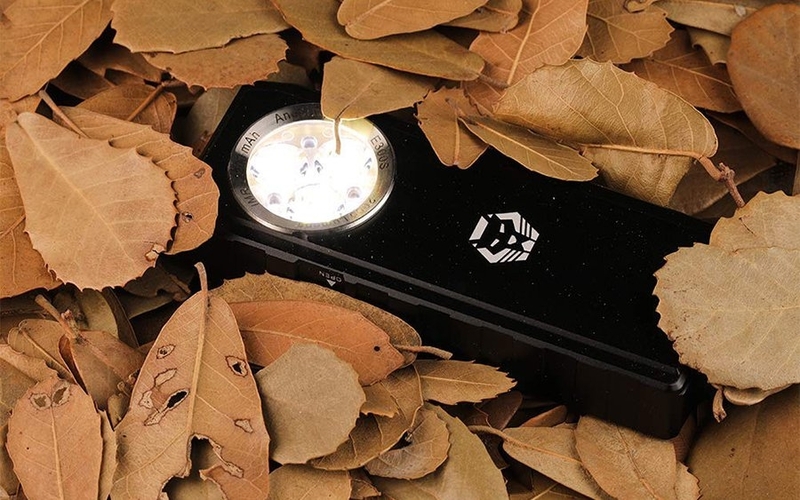 It's their latest compact flashlight that redefines what it means to have light at your fingertips. On first look, the TC1 looks like any other bullet-shaped keychain light with a twist interface. 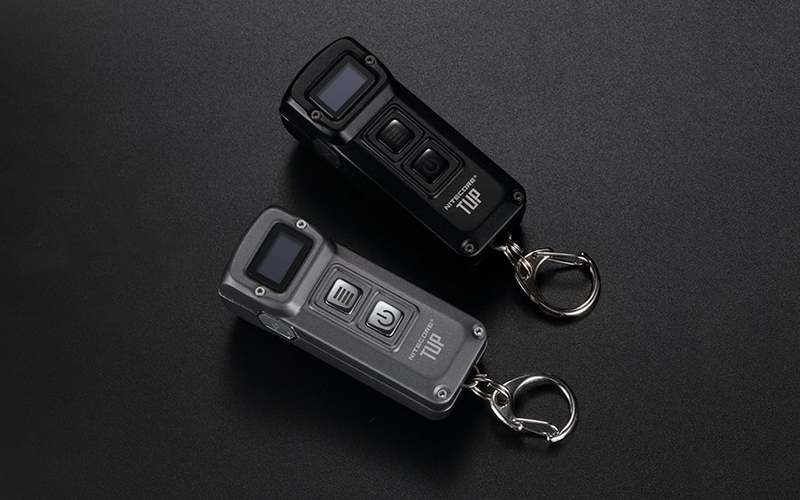 Smaller than a thumb and weighing only half an ounce even with its battery, the TC1 is the type of compact light you set and forget on your keychain. That is, until you take a closer look and see the features Rofis have packed into the light's tiny package. Within the TC1's anodized aluminum shell lies a 10180 rechargable battery, which, when paired with the XP-G3 LED, gives off a maximum output of 120 lumens across 3 levels. Charging is also convenient thanks to a micro USB port built into the TC1's screw threads, which also gives the light IPX6-rated water and impact resistance. But it's the rear of the light where the magic happens. 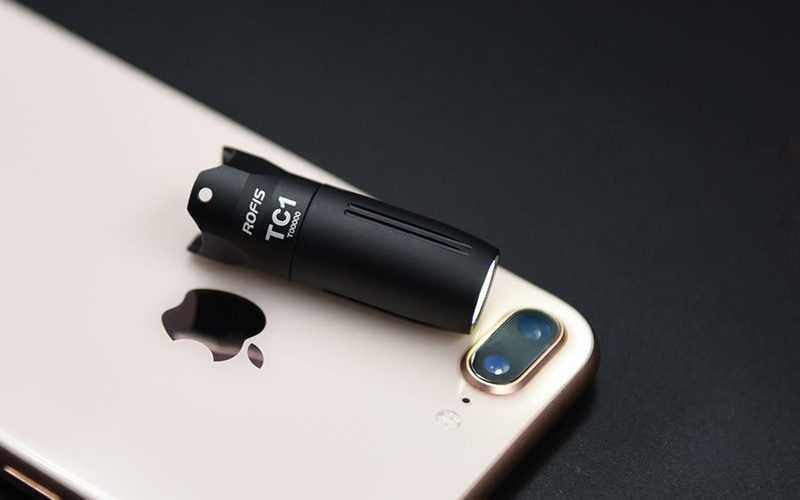 Rather than a twist or clicky interface, the TC1 comes with a brand new touch switch more akin to a smartphone fingerprint reader than the flashlight hardware we've been used to. Given its high sensitivity it means activating and switching levels much faster than having to twist the whole body or completely clicking a button. And rather than leaving it at that, it doubles as a battery indicator too, flashing red when fuel gets low. 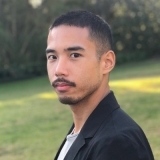 With nods to the past while getting decked out for the future, the TC1 sets a fresh and interesting precedent to the lights we'll be seeing from here on out. Pick one up at the Amazon link below for under twenty bucks.